There’s something about polka dots that I just love. I always find myself gravitating to them in dresses and shoes, and I thought why not pants. 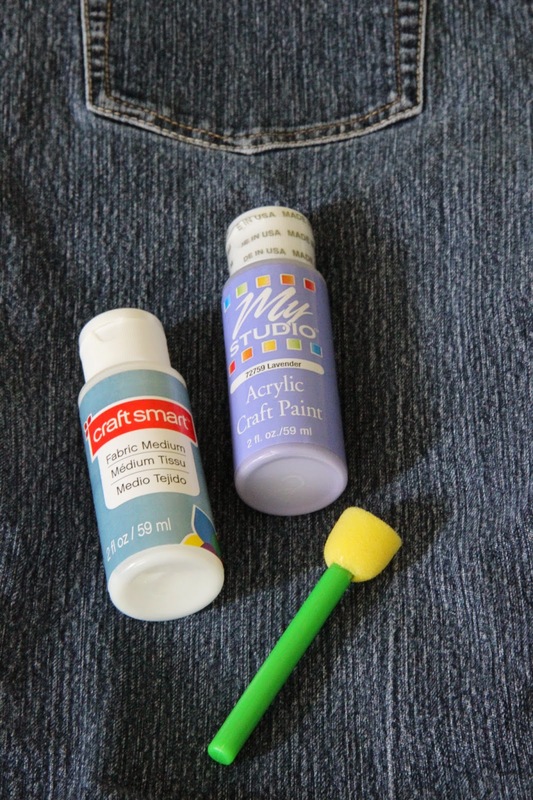 I bought some jeans at the Goodwill for $5, picked out a fun color and got to work! 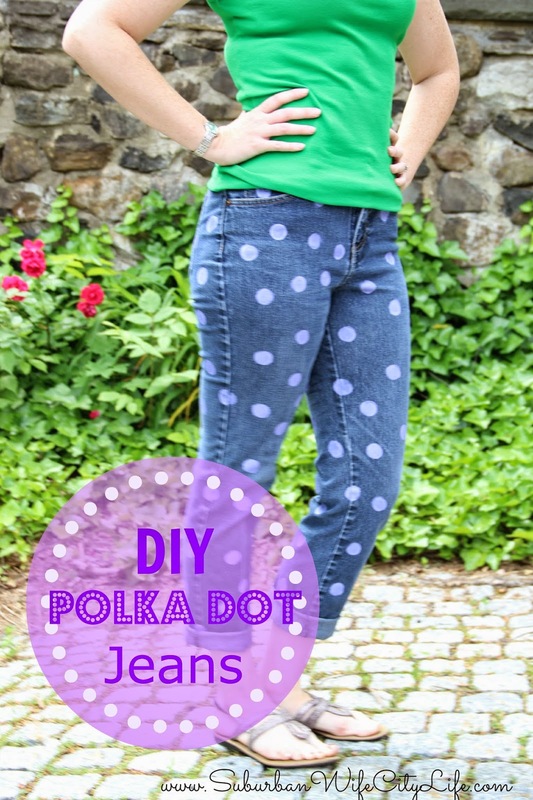 Step 1: Make sure the jeans are washed! Side note: I did find I had to do about 2-3 coats of the dots, to give them the pop of color I really wanted them to have. These are so cute! Great up grade! What a smart idea and how stylish looking, those would easily go for big bucks in the store.